Does depression affect men & women differently? Absolutely! In fact, according to the American Medical Association (AMA), men and women often experience depression differently. Interestingly, while depression and pain affect men and women in almost equal numbers, symptoms are likely to differ. Depressed men are more likely to feel angry, irritable, and frustrated, and often have sleep problems. Men may focus excessively on work to avoid talking about how they feel. They may behave recklessly or abusively, or use drugs or alcohol as ‘self-medication’. Women more often report feeling sad, guilty, or worthless when they are depressed. More women than men attempt suicide, but men are more likely to succeed (almost four times as often). Anger, irritability, and impatience or overreaction to small things. Inability to concentrate, forgetfulness or trouble making decisions. Isolation, with slow or sudden withdrawal from friends and family. Substance abuse. Drug or alcohol problems often hide an underlying problem with depression. Sleep problems, either sleeping too much or not enough, or finding it hard to get up in the morning. Anxiety and/or worry, restlessness, and tension. Appetite changes, either overeating to feel better, or losing one’s appetite altogether. Crying over small things or about nothing at all. Both male and female clients of INDY Neurofeedback frequently report recurring pain that doesn’t seem to respond to treatment. That can be an early warning sign, because we know that some feelings of pain can be a symptom of depression. INDY Neurofeedback has proven non-medical ways of helping those with pain and depression to recognize ways of retraining their brain to reprocess pain pathways and often finding new relief. Whether you’re male or female, if it’s depression that is the cause of the pain, or just one contributing factor, knowing the facts is the first step in the process of finding relief! https://indyneurofeedback.com/wp-content/uploads/2018/12/Fotolia_118967338_XS.jpg 311 386 INDYNeurofeedback https://indyneurofeedback.com/wp-content/uploads/2018/12/indy-neurofeedback-logo2-300x120.png INDYNeurofeedback2018-11-28 14:43:302018-12-17 14:49:20Does depression affect men & women differently? Across America, there’s a pill for just about every health issue you can think of. Americans don’t think twice about using them, either. If it’s available in a drug store, then it must be safe, right? The problem is those pills almost always come with a lengthy list of potential side effects. And that is something you should pay close attention to, cautions Leanne O’Neil of INDY Neurofeedback, because quite a few of these side effects can adversely affect your brain. In a new scientific study, scientists found that a class of medications called anticholinergic drugs have been definitively linked with cognitive impairment and increased risk of dementia. 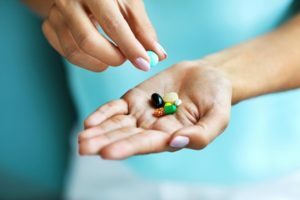 What are anticholinergic drugs? They include a broad class of medications that are used to treat various medical conditions involving contraction and relaxation of muscles, such as overactive bladder, muscle spasms, breathing problems, diarrhea, gastrointestinal cramps, movement disorders, and the like. They work by blocking neurotransmitters in the brain, nerves, and nearby muscles and glands. Some are also prescribed for chronic diseases including hypertension, difficulty sleeping, cardiovascular disease, bladder control, and chronic obstructive pulmonary disease (COPD). The IU School of Medicine study looked at 451 people with an average age of 73, sixty of whom were taking at least one anticholinergic medication. Researchers assessed the results of memory and cognitive tests, including PET scans and MRIs to determine brain structure. The tests concluded that those taking anticholinergic drugs performed worse on short-term memory tests, executive function, verbal reasoning, planning, and problem-solving. The participants using anticholinergic drugs were also found to have reduced brain volume. A related Indiana University study at the Center for Aging Research found that drugs with a strong anticholinergic effect could cause cognitive or brain impairment problems when taken continuously for as few as 60 days. Here are some helpful links to more information about anticholinergic medications including common brand names. At INDY Neurofeedback, we want to help you keep your brain as healthy as possible. According to the National Institute of Health, childhood diagnoses of ADHD (Attention Deficit Hyperactivity Disorder) have climbed sharply in the last two decades. The Center for Disease Control and Prevention says that ADHD diagnoses jumped over 40% between 2003 and 2011. In 2016 alone more than 9% of children between the ages of 2 and 17, a total of more than 6 million children, were diagnosed with ADHD. Doesn’t this sound like many young elementary and middle school-aged children? Absolutely! How do you know if your child actually has ADHD? A non-invasive brainwave test. In 2013, the Food and Drug Administration approved the first brainwave test to help diagnose attention deficit hyperactivity disorder (ADHD) in children by measuring brainwaves. Christy Foreman, a director at the FDA, said in a statement that the test will help healthcare providers more accurately determine whether ADHD is the cause of particular behavioral and learning problems. Brainwave testing has been used by many healthcare providers all over the world for the past 30 years. In addition to identifying ADHD, brainwave testing also provides the basis for neurofeedback training which is used to help alleviate many of the symptoms associated with ADHD. Leanne O’Neil, owner of INDY Neurofeedback states that, “The brainwave test identifies unbalanced brainwave patterns that may be related to focus and attention issues and neurofeedback retrains the brain’s ability to self-regulate. 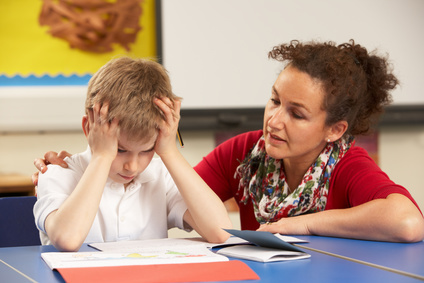 Talk to us if your child’s teacher is discussing ADHD diagnosis,” says Leanne O’Neil. “We can help you better understand what is actually going on and work with your individual needs. The conventional solution to ADHD is usually medication, and likely prescribed long-term. But all medications have side effects, which can be particularly problematic with your child’s developing brain. Many parents have had success addressing their child’s hyperactivity by discovering and addressing food intolerances and nutrient deficiencies. Food for thought: Your child eats a breakfast that has no fat, little protein and a high glycemic index – let’s say a bagel with fat-free cream cheese. Blood sugar goes up, but then soon crashes, which triggers the release of stress hormones like adrenaline. At around 10am, this child is jittery and fidgety and cannot pay attention. This can look like ADHD to a teacher. If diet modifications fail, call us! We can identify underlying problems that factor into your child’s behavior and help come up with a plan of care, often one that works without the aid of prescription drugs. Because September is National Pain Awareness month, INDY Neurofeedback is devoting this space to the important topic of pain management. We wish we didn’t have to experience pain. Ever. Truth is, though, we would not survive without it. Pain provides us with a valuable warning, letting us know that something is wrong, and where. The intensity of that pain also provides a sense of urgency, letting us know we need to stop and take care of the injury. Sometimes, however, pain has no obvious connection to any injury and doesn’t serve a useful purpose. This is called chronic pain and presents an incredible challenge for those who live with it. Offering both biofeedback and neurofeedback, our trained staff at INDY Neurofeedback wants to help. The perception of pain is registered in the brain, no matter where in the body the injury lies. Perceptions of pain vary dramatically from individual to individual and from circumstance to circumstance. Depending on the way the brain interprets it, pain may not be scaled to the actual injury and may continue long after the injury is healed. The brain registers pain emotionally, so feelings of fear, trauma, or helplessness can often increase pain perception. Pain can operate in cycles, so when emotions are triggered, that in turn increases pain perception, which re-triggers trauma – in an endless cycle. When the sensitivity escalates to the highest levels, injury messages are no longer necessary to sustain the experience of pain. 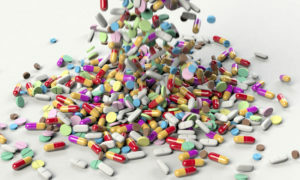 Medications used for pain can also require ever increasing doses. It begins with the brain. Since the brain is ultimately in charge of how severely individual pain is perceived and where it is localized in the body, biofeedback and neurofeedback begin right at the source — the brain itself. 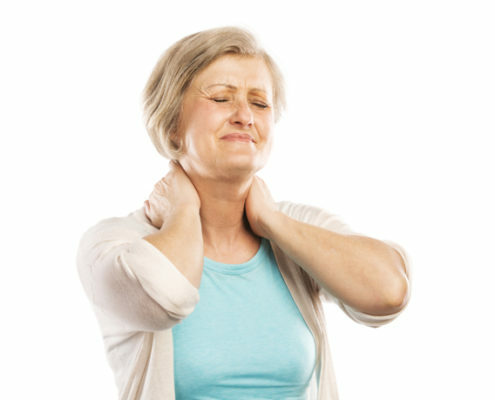 There have been numerous clinical studies showing that the techniques of both biofeedback and neurofeedback can be used to break the cycle of pain and lead to a major decrease — or even the total elimination of — chronic pain. INDY Neurofeedback works with clients of all ages and all kinds of pain, from post-surgical to fibromyalgia, brain injuries to PSTD-related pain. Our goal is to help each client redefine the way his/her brain interprets nerve impulses (the experience of pain) and gradually return brain-pain sensitivities to normal levels. We are happy to talk with you about what you are experiencing. The therapies we offer may well provide the relief you are seeking. We sincerely hope so. We’ve long heard about head trauma due to playing rough sports like rugby and football. But what about soccer? Of particular concern is “heading”, or repeatedly using the head to forward the ball. 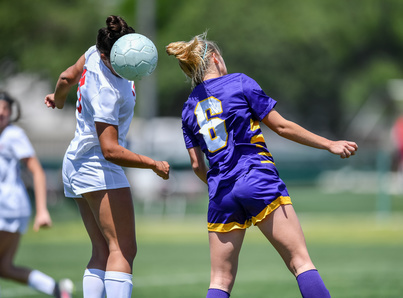 Studies have found that frequent heading is a common and under-recognized cause of concussion symptoms and may actually cause more damage than the impact from unintentional head-to-head collisions. Even more revealing, a new study from the Albert Einstein College of Medicine in New York suggests that not only does heading put soccer players’ brains at risk, but that female players may be disproportionately at risk. Using advanced MRI scanning, Einstein researchers carefully examined the brain scans of 49 men and 49 women, aged 18 to 50 with a median age of 26, who regularly played amateur soccer. Even though both sets of players had headed the ball roughly the same number of times, scans showed that the women had five times more brain tissue damage than the men. Even more surprising, there were more brain matter areas adversely affected in women than the men (eight regions of the brain for women and just three regions for men). Precisely why women might be more sensitive to head injury than men is not known for certain. Researchers have speculated that because women have smaller, less muscular necks than men, heading may impart more rotational force to their heads, jarring the brain within the skull more. The brain changes detected by the scans were categorized as ‘subclinical’ by the researchers, meaning they were not enough to alter thinking ability. Study researchers were quick to add, however, that subclinical changes are still cause for concern. Soccer coaches and researchers agree that a full understanding of the risks of heading while playing soccer will require further research. In the meantime, O’Neil recommends monitoring brain health by getting a qEEG brain map at the beginning of the season and a follow up at the end. All brains are unique and the brain’s ability to fully heal from each impact is individual. Complete article available at https://medicalxpress.com/news/2018-07-soccer-worse-women-brains-men.html. Neuroplasticity is the term scientists use to talk about the brain’s innate ability to form new neural connections in response to learning or experience or following injury. Specifically, neuroplasticity allows the nerve cells in the brain (neurons) to compensate for injury and/or disease and to adjust their response to new situations or to changes in their environment. So, just as the muscles and bones in your body can heal after trauma, your brain can too, no matter your age. Research has shown that there is an accepted normal pattern of brainwave activity for just about any circumstance we experience, from sleeping to driving, learning something new, to repeating a motion we have performed a hundred times. When this normal brain wave pattern becomes dysregulated (through physical or emotional trauma), our brainwaves re-track how they connect. Frequently, this re-tracking or dysregulation takes the form of memory loss or sensory or behavioral change. We may develop symptoms that compromise our daily lives, sometimes requiring medical support. All too often, that medical support comes in the form of medication. For instance, we may be given an anti-anxiety medication to calm sudden irrational fears or inappropriate abrupt behavioral change such as intense anger. Neurofeedback is a way to utilize the brain’s plasticity – or ability to change and heal – by engaging with those brainwaves. In other words, neurofeedback helps you harness the power of your own brain to help transform brainwave imbalances without (or alongside) medication. It’s a non-invasive way to help children and adults get back to normal, healthy, organized brain function, operating optimally and efficiently. What if you or your child has a smaller, albeit troublesome issue such as stuttering, or an irrational fear getting in the way of life? Neurofeedback can help with that as well, helping your amazingly resilient brain re-train itself, whether that involves improving concentration, memory, enhancing problem-solving, reducing performance anxiety, or simply increasing self-confidence. 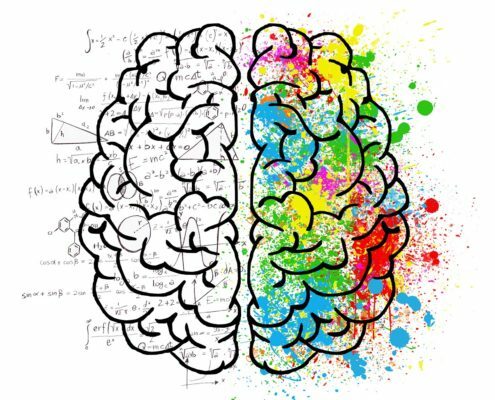 At INDY Neurofeedback, we know that everyone is unique. The amount of training your brain may need depends upon the severity of your symptoms and your overall health. We’re here for the big challenges and for the smaller ones, too. We’re also good listeners. If you’ve got a question about something bothering you or your child, give us a call and let’s schedule an appointment to talk about it. https://indyneurofeedback.com/wp-content/uploads/2016/02/brain-2062057_1280.jpg 974 1280 INDYNeurofeedback https://indyneurofeedback.com/wp-content/uploads/2018/12/indy-neurofeedback-logo2-300x120.png INDYNeurofeedback2018-09-06 23:48:302018-10-11 01:58:40What is neuroplasticity and how does it work? INDY Neurofeedback has created this new blog as a way to share information and news that’s pertinent to you and your family’s mental and physical health and wellbeing. Look for news, tips, information, ideas, and support on a host of topics including how neurofeedback works for children, teens and adults — addressing everything from improving memory and concentration to reducing performance anxiety and increasing self-confidence. We’ll address new research and new concerns. We’ll talk about sports brain injuries in children and how to help brains of all ages overcome physical and emotional trauma. We’ll explore ways to reduce dependency on prescription drugs for cognitive dysfunction, and retrain or “rewire” the brain to work in a way that is more resilient and fully functional. We’ll delve into the link between nutrition and brain health, and find out how to work alongside your child’s school system when a diagnosis of ADHD, OCD, or being on the ‘autism spectrum’ is suspected. Lots of ideas. A trove of science-backed information. All in four blogs each month. We welcome you and hope you will return often to learn about making your brain health and wellbeing a little simpler — and less drug-dependent to attain. Stay tuned! https://indyneurofeedback.com/wp-content/uploads/2016/02/indy-neuro-example.jpg 2616 4928 INDYNeurofeedback https://indyneurofeedback.com/wp-content/uploads/2018/12/indy-neurofeedback-logo2-300x120.png INDYNeurofeedback2018-08-08 18:45:032018-10-11 00:16:38Why a blog about INDY Neurofeedback?